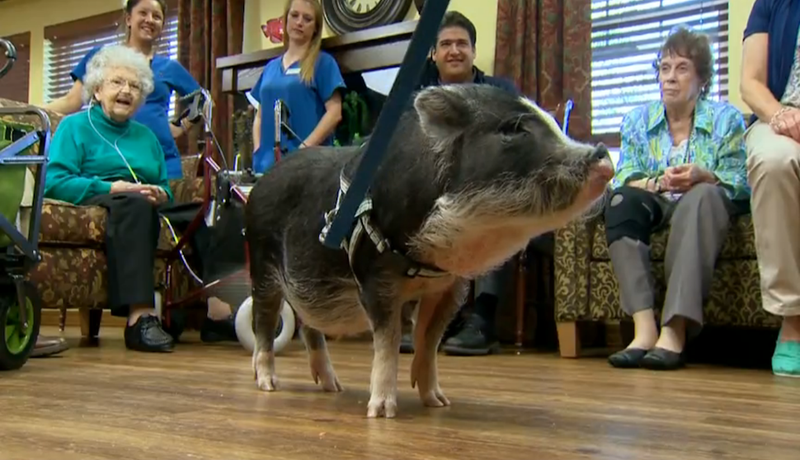 If you’re in the mood for a Saturday night filled with emotions (the good kind), prepare to fall in love with Pumba and Boris, two miniature potbellied pigs who pay weekly visits to seniors living with Alzheimer’s. According to NBC News, the piggies hop into a little green wagon to do a meet and greet with the residents of Vibrant Living at Highline Place, where they are rewarded with many, many carrots. Is it hot in here? It feels like my eyes are sweating again. Happy Saturday, everyone!